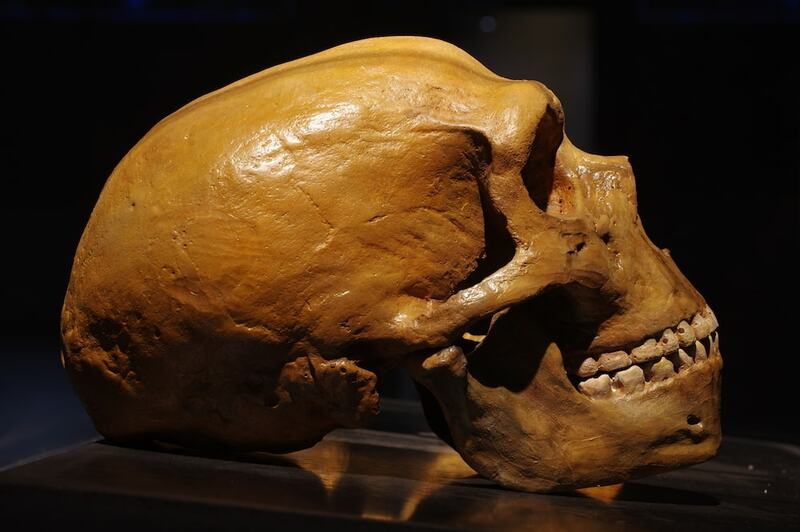 Much remains unknown about the Neanderthals who interbred with human ancestors. Who were they? And, for the billions of people whose chromosomes contain 1 to 2 percent Neanderthal DNA, what did they contribute to who we are now? High-quality sequencing of a bone sample from Croatia has overturned billions of new fragments of DNA that researchers can look for in modern humans. The researchers, writing for Science this week, estimate that descendants of Neanderthal-human interbreeding thousands of years ago may carry 10 to 20 percent more Neanderthal DNA fragments than previously thought. Furthermore, researchers writing for the American Journal of Human Genetics this week, in an analysis of the genes of more than 150,000 living humans, have found that Neanderthal DNA can contribute to even more traits than previously thought, including hair and skin tone, sleep habits, and smoking status. Svante Paabo, geneticist at the Max Planck Institute in Germany, explains how new DNA sequencing tools are expanding the possibilities for understanding Neanderthals, ancient humans, and how modern humans came to be the way they are. Svante Paabo is a geneticist at the Max Planck Institute for Evolutionary Anthropology in Leipzig, Germany. IRA FLATOW: This is Science Friday. I’m Ira Flatow. Unless your ancestors all originated in Africa, chances are you are part Neanderthal, something like 2% to be precise, though that number varies a bit depending on whether you’re genetically more European or East Asian or Australian. So how did this happen? Up to 100,000 years ago, ancestors of modern humans encountered Neanderthals in Europe and for thousands of years inbred with them. At the end of the day, Neanderthals went extinct, while early humans took over the world. But for those billions of you who still carry around that Neanderthal DNA, what does it contribute to whom you are now? Well, just this week, researchers announced stronger evidence for connections between Neanderthal genes and everything from sleeping habits to skin and hair tone. And now, a new sequencing of a 52,000 year old fossil has given researchers even more Neanderthal DNA to link to us. Research published in Science this week says the new fragments, when compared to modern human genes, indicate that we’re even more related to Neanderthals than we thought. That 2% might actually be as high as 2.6%. Here to talk about that with us is one of the study’s author, Svante Paabo, a geneticist with the Max Planck Institute for Evolutionary Anthropology in Leipzig, Germany. Welcome back, Dr. Paabo. SVANTE PAABO: Thank you very much. I’m happy to be here. IRA FLATOW: Nice to have you. How many people are descendants of Neanderthals, then? SVANTE PAABO: Well, so everybody whose genetic roots are outside Africa are partly descended from Neanderthals. So there are billions of people, in the order of 6, 7 billion people, who actually carry parts of the genome of Neanderthals today. IRA FLATOW: And how did– how did we come to that 2% number and then raising it? SVANTE PAABO: Well, so, back in 2014, we published high quality Neanderthal genome, but that genome came from southern Siberia. So very far east in the distribution of Neanderthals. So we were, of course, aware that that genome was not really close geographically to where Neanderthals probably met early modern humans when they came out of Africa. So what we have now done is to sequence the genome from southern Europe, from Croatia. That is also closer in time to when that interbreeding might have happened. It’s between 50 to 65,000 years old. And indeed, we can show that this individual from which this genome comes was quite substantially closer related to the Neanderthals that interbred with modern humans than the Siberian one. And that results in that we can identify more pieces, more fragments of DNA in people today that come from Neanderthals, in the order of 10%, 15% more than we had earlier. That’s in the order of 4 million more base pairs per individual that we identify. IRA FLATOW: So this 52,000-year-old Neanderthal woman from Croatia and what we know from her genes, do we know that the Neanderthals might be contributing to maybe bad cholesterol numbers that we have, or any other kind of diseases or illness? SVANTE PAABO: Yes, indeed. So one of the genetic variants we now discovered using this new genome is, for example, a variant that contributes to high LDL cholesterol. So that’s the bad cholesterol. It increases your risk of having that. There are also, I should say, genetic variants that come from the Neanderthals that will protect you from certain problems. So there is, for example, a variant here that decreases your risk for eating disorders, particularly certain types of eating disorders. But on the other hand, there are other then that increase your risk for accumulating visceral fat, for example. So it’s a mixed bag of things that we would regard as good and bad that we got from the Neanderthals. IRA FLATOW: Are we more interested, then, in the Neanderthals because we want to know about them, or because what they can tell us about who we are? SVANTE PAABO: Well, I would say that I would be interested in both things. Of course, it is quite interesting to know what aspects of our physiology today derive from Neanderthals, in what ways do they live on in us, if you like. But these variants may also allow us, at least in the future, to tell us more about what they were like. IRA FLATOW: So how is it that just two genetic sequences– we’re talking about two Neanderthals now– tell us so much about a whole species of hominid? SVANTE PAABO: Well, of course, that is because, when you have a whole genome from an individual, you have, of course, two versions of that genome– the version that individual inherited from the mother and from the father. So when they are sequenced to high quality now, so we see both chromosomes in an individual, we have four genomes in reality. And we can then get a fairly good idea, particularly when they come from different parts of the distribution, geographic distribution like this, of the variation in the species. IRA FLATOW: How come you were able to get such a good, high quality sequence? SVANTE PAABO: Well, so, we had looked through a lot of bones. So from this site in Croatia, this cave, we had analyzed 19 different bone fragments to identify the ones that have the most Neanderthal DNA, but at the same time the lowest proportion of bacterial DNA in the bones, from soil bacteria that lived in the bone when it was in the ground. So this particular bone, that were parts of it that up to 10% of the DNA actually were of Neanderthal origin. And then we used techniques that we have developed in our lab over 20 years now to extract as efficiently as possible, the DNA, process it in a way that we can feed it into sequencing machines, and then map it to the human genome, see where these short fragments we get will fit in the genome. IRA FLATOW: There was other research published this week by a couple of your colleagues detailing some of the other ways that Neanderthal genes may be affecting who we are, like our sleep habits, and anxiety, and even our skin and hair tone. How did they figure this out? SVANTE PAABO: Yes. So that this work by Janet Kelso’s group in our Institute, and they took advantage of a huge, huge study in the UK. The UK so-called UK Biobank, where there is now data available for over 100,000 individuals on many, many traits in the scientific field, such as sleep habits, skin tone, et cetera, et cetera. And there’s also genomic data for the entire genomes from these individuals. They were then able to look for statistical associations between certain Neanderthal DNA fragments and certain features in, for example, your skin pigmentation or your sleep patterns. And they find very sort of mixed picture, actually. They find that, indeed, the Neanderthal contributions are particularly prevalent when we look at skin pigmentation. Over half of the strong associations they find is to skin pigmentation. But those variants go in different directions. So there are some variants that make you more pale and more susceptible to get sunburn, but there are also other variants that make you more darkly pigmented to protect against sun. So the conclusion of that or the logical conclusion of that is that actually Neanderthals varied just as we do– varied in their skin pigmentation, and different people have inherited different variants from them. IRA FLATOW: Does anything new in these genomes, do they offer any clue about why the Neanderthals died out but we survived? SVANTE PAABO: No. And I think there will be no clue in the Neanderthal genomes about that, I would say. I would say the clue to that lies in our genomes, in the modern human genomes. Because what is so striking with modern humans is that we appear on the scene and expand in size, become hundreds of thousands, millions, and eventually billions of people, and compete with our close relatives. And they lose that competition. So sometimes, I say, for example, orangutans today are approaching extinction, but that’s not due to some problem in their genome. It’s due to our genome that makes us hack down the forest, hunt, and so on. IRA FLATOW: Dr. Paabo, what are you working on now? Do you have anything in the pipeline that you’re sequencing? SVANTE PAABO: So one direction is to try to go back further in time. So the oldest hominin remains we’ve been able get tiny amounts of DNA from is over 400,000 years old. That’s an early Neanderthal ancestor from Spain. So we’re trying to get more DNA there. And the other direction is to try to understand what’s special about modern human genomes. What are those variants that made it possible for us and not the Neanderthals to develop the technology and culture that allowed us to expand and colonize the whole world and compete so successfully and detrimentally from the point of view of these other hominins that became extinct. IRA FLATOW: What would be the perfect fossil, your dream fossil find, if you could have one? SVANTE PAABO: Well, one dream would actually be to find a Neanderthal in the permafrost. And maybe that will even happen one day. That’s is the best way to preserve DNA. But short of that, it’s a fossil that is under dry conditions with very little bacterial growth after the death of the individual, so that a large proportion of the DNA is actually from the Neanderthal. IRA FLATOW: But you think there could be a Neanderthal in the permafrost someplace waiting to be discovered? SVANTE PAABO: That cannot be excluded. And, in fact, as the permafrost is now melting due to climate change, chances are that maybe one will one day find a Neanderthal in the permafrost. IRA FLATOW: Well, I can’t– I can’t get any better than asking that– getting that answer from you. Well we all hope– you know, maybe there is a silver lining to global warming right there. SVANTE PAABO: Yes. There’s one good thing about it. IRA FLATOW: Svante Paabo. Geneticist with the Max Planck Institute for Evolutionary Anthropology in Leipzig, Germany. Thank you for staying up late and taking time to be with us today. Good luck in your search. SVANTE PAABO: Well, thank you, Ira. IRA FLATOW: Hope your dreams do come. New 3D models of Homo naledi fossils help researchers better understand the human family tree.